We Burned Our Dancing Shoes! | ¡VidaMaz! We Burned Our Dancing Shoes! I was most looking forward to dancing to my favorite local band, La Falsa Orquesta Cubana, and indeed, we danced to salsa, bolero, cumbia and conga till well after midnight. The highlight of the evening, however, were the three performances by the new graduates. Bripola, a two-person dance about the vibrations that occur when the strings of a small guitar are plucked and strummed. Diagram of the Trajectory of Laurence, another dance by two dancers, representing the steps forward, backwards, up, down and sideways through space. Passaro, a group dance representing the intense energy of flying birds. Many of the graduates’ families came from out of state to support them, and donated items for the silent auction and door prizes. The dinner was also amazingly good. THANK YOU to all of you who read this blog and bought your tickets and got a table together! Seeing the energy, excitement and talent in these young people gave everyone who attended such encouragement. If you would like to support their effort to raise money for the airfare, you can deposit your donation to Bancomer #0193238377, in the name of El Espacio del Verbo. You can also donate from US$5 upwards via Internet on Fondeadora. If any of the students would like high-resolution images of these photos without the watermark for your personal use, just let me know. I do sincerely hope the event raised a lot of money for your journey. Best of luck! 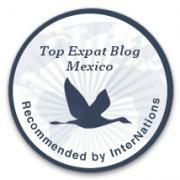 Show them just how talented Mazatlán and México are!